What’s the first thing a visitor sees when they click onto your website? 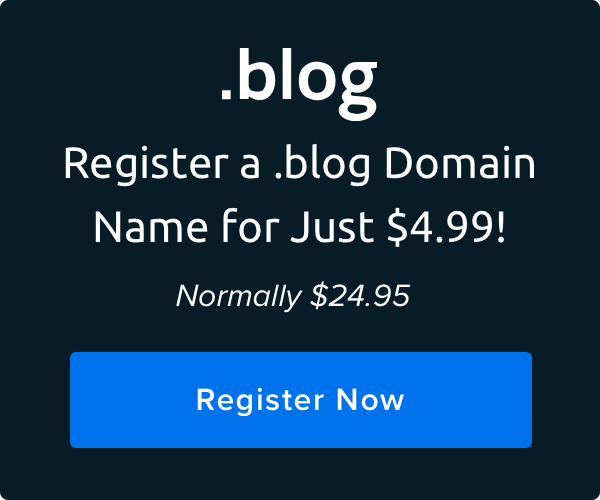 Even before they begin reading the content, they’ve already registered your site’s design. For everyone from small business owners to bloggers, good design is not just optional. It’s a requirement. As a designer for DreamHost, I know that design influences how people regard our brand, how they navigate our website, and even whether or not they buy our product. It’s the same for our customers and their websites too. And making that design process simpler was a huge motivator for launching our click-to-edit website builder earlier this year. Regardless of the tool you use to design it, you’ll want your website to put its best, ahem, footer forward. 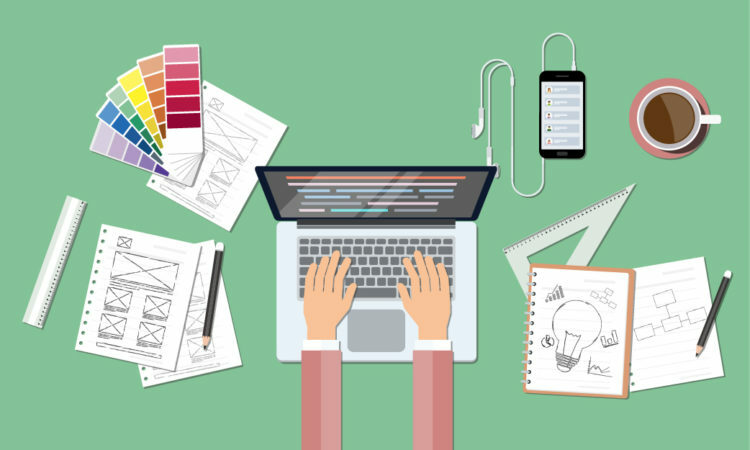 Here are five helpful tips you can use to create a well-designed website. When you’re building a house, you need a blueprint of the floor plan before you start deciding what the kitchen faucet is going to look like. It’s the same for web design. In web design, we call our blueprint a wireframe. We consider all the elements that need to go on the website (logo, blog, e-commerce widget, and even the footer) and put them in the wireframe. In this stage, we arrange (and rearrange) the elements before we even think about color, images, or type. If the blueprint for your house is confusing and erratic, it won’t matter how nice the bathroom tile looks. That’s why we mock up the basics before delving into the details. Sometimes people ask me, “Is it OK to create a site that fits my own preferences more than the latest web design trend?” Generally that’s fine, but I always recommend that people make sure their web design looks current. Colors and type can go according to your preferences, but it’s best to make sure that your design follows current best practices for user experience. Another key component to staying current: optimizing your site for mobile. Because many users will be visiting your site on their phone or tablet, responsive design is a must have. Also take into account that not everyone experiences the web the way you do, so make sure your site is accessible for those who are visually impaired. If you’re building a personal site for portfolio purposes, using best practices like this one shows visitors that you know the latest user experience concepts and how to apply them. Even as a small business, it’s important because it shows that you’re up to date and take your website seriously. And ultimately, it makes your life easier for your customers as well. Whether it’s an e-commerce site, portfolio page, or blog, every website tells a story — and that’s true whether the website owner meant to put a story there or not. When designing your site, you want to always be thinking about the story you’re telling, so you have control over the narrative. If you don’t construct that story mindfully, you won’t have control over how it unfolds in the minds of users. For DreamHost, our brand story is that we’re independent, and we can help you be independent too. We’re huge advocates of open source. We express our values through the tone of the writing on the website, the topics we discuss, and even the simple and open design elements of our site. Think about what you want people to feel when they visit your site, and what you want them to do, whether it’s read a blog post, buy a product, or link it to their friends. Then consider what kind of design elements and principles — colors, typography, images, tone, etc. — reinforce that feeling. For example, many social media companies, like Twitter, Facebook, and Tumblr, use a shade of blue as their dominant color because it symbolizes trust and security. Even small design considerations can tap into your customers’ psychology. You don’t need to be a professional designer to create great graphics. A lot of times, people want to put everything on the homepage so it tends to get very crowded and busy. When there’s too much to look at on the front page, visitors can’t focus on anything. For a small business, the front page should be a handshake greeting with your audience, telling them what your brand is. Telling a good story about your company is what I feel belongs on the homepage. I would say to boil down the essentials of the business, and put only that on the homepage. Stay simple. You can always add more later, but it’s hard to subtract. The same advice goes for creating a logo for your website. In college I was told, “A logo has to work for a fax machine” — that is, it has to work in such low rendering that you can recognize it through a fax. People don’t use fax machines that much anymore, but the advice is still solid. If you can squint your eyes and still make out the elements fairly clearly, then your logo design is likely on point. When I’m not working hard on DreamHost’s next design project, I’m traveling the globe. I make a lot of trips to Sweden, where I was born and raised. Additionally, my personal goal is to visit a country I’ve never been before once every year. Travel isn’t just a way for me to unwind, but part of my design process. On a basic level, it gets me out of my routine, which is one of the harder things as a designer: you get stuck in what you’re comfortable with. I’ve been to Thailand a few times, and the typography there is so drastically different than in the West — it really shakes up my thinking around design. Still, that doesn’t mean you need to go out and buy a plane ticket to Thailand right this minute. You can break up your routine by doing something as simple as stepping away from your computer, getting out of your office even just to go on a walk, and then returning to your project later with fresh eyes. Change your perspective, and you’ll be able to step out of your web design comfort zone.